GORGEOUS MOUNTAIN VIEWS!!! NORTHWEST/LONE MOUNTAIN AREA. AWESOME OPEN GREAT ROOM WITH CEILING FAN. THE KITCHEN HAS GRANITE COUNTER TOPS, BREAKFAST BAR, STAINLESS STEAL APPLIANCES, MICROWAVE. MASTER BEDROOM HAS CEILING FAN/LIGHT, WALK IN CLOSET. LAUNDRY ROOM UPSTAIRS. SECOND AND THIRD BEDS HAVE CEILING FANS. 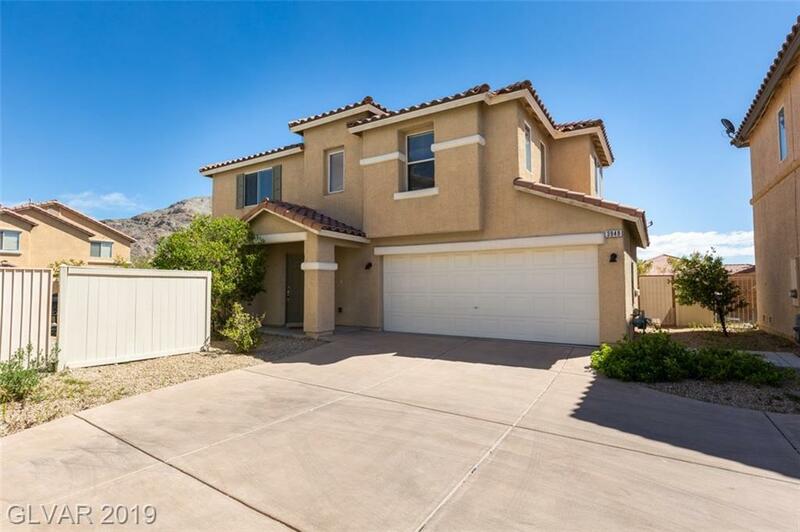 THIS HOME IS WITHIN WALKING DISTANCE TO LONE MOUNTAIN PARK, SHOPPING, SCHOOLS AND 215. CALL TO SEE BEFORE IT'S GONE!! Directions: From 215 & Cheyenne; W On Cheyenne/Turns Into Cliff Shadows; E On Alexander, S On Vegas Vista Trail; R On Lucia Maria; R Pm Pia Rosetta To Property On The Right .